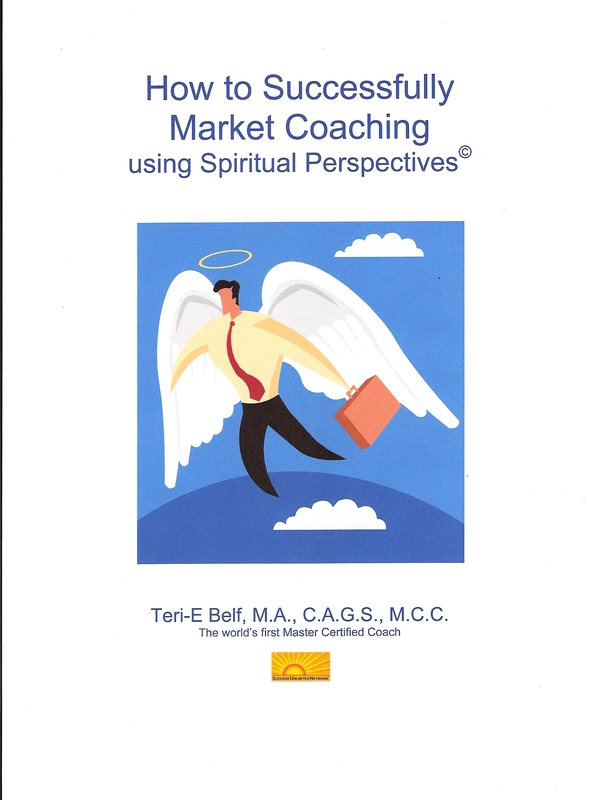 Coaching book about weaving your spirituality into your coaching and your marketing of coaching, including experiences from colleagues, coaching leaders, clients reports, international coaching and executive coaching. 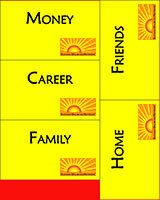 Explains three coaching communities, one of them SUN. Step-by-step process for facilitating life purpose including forms, marketing samples, frequently asked questions and answers and practice anecdotes.Available in Spanish, Italian and French and Hebrew. 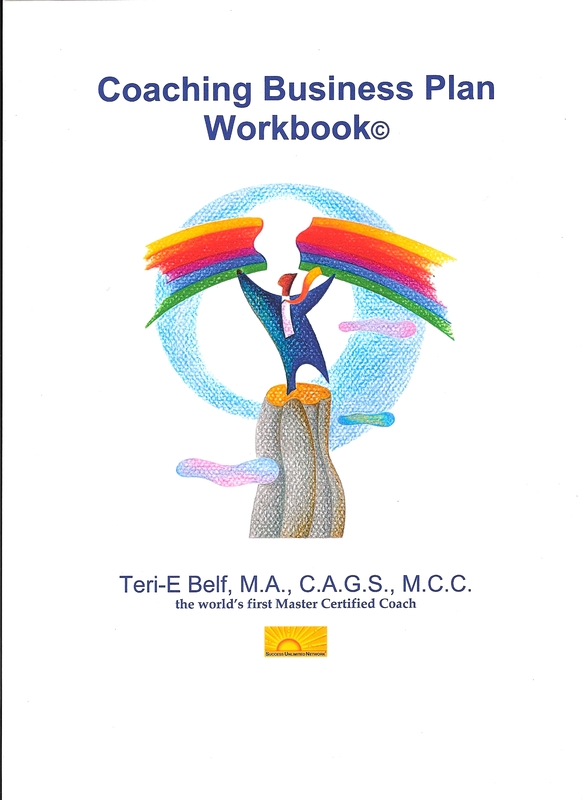 This is a friendly, easy-to-use business plan workbook for coaches, structured and organized to cover everything you need to launch or grow your coaching business. 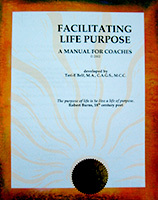 It is packed with the best of the best information and tips gathered from over 20 years in coaching. Four articles that share the most useful marketing tips learned by the world’s 1st Master Certified Coach with over 20 year experience in the coaching profession. The focus is marketing everywhere---with a spiritual perspective If you dislike marketing, this will help you change that feeling into a positive experience that produces results. - If you want to upgrade your expertise as a Coach. - If you are preparing for an ICF PCC exam. - If you want increased confidence that you are really doing coaching. 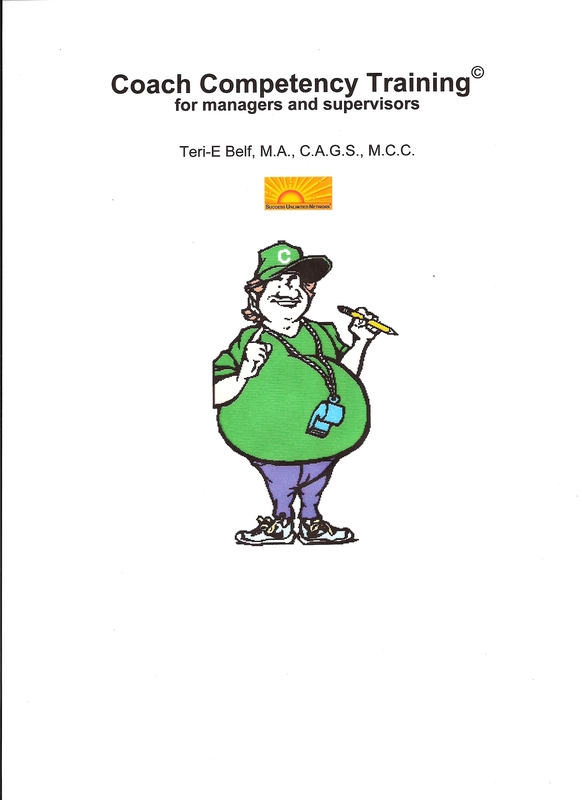 Easy to deliver, self explanatory, clearly organized program for trainers and educators to use including Facilitator’s Guide (59 pp), PowerPoint slides (46), Participant handouts (30 pp), Coaching role-play practice cases, Feedback Form and 1-hour DVD demonstration. Use to increase awareness of coaching as a vehicle to transform communications, dialogue and productivity in an organization and to increase coaching competency of managers or supervisors through training, practice and evaluation. Customization permitted. 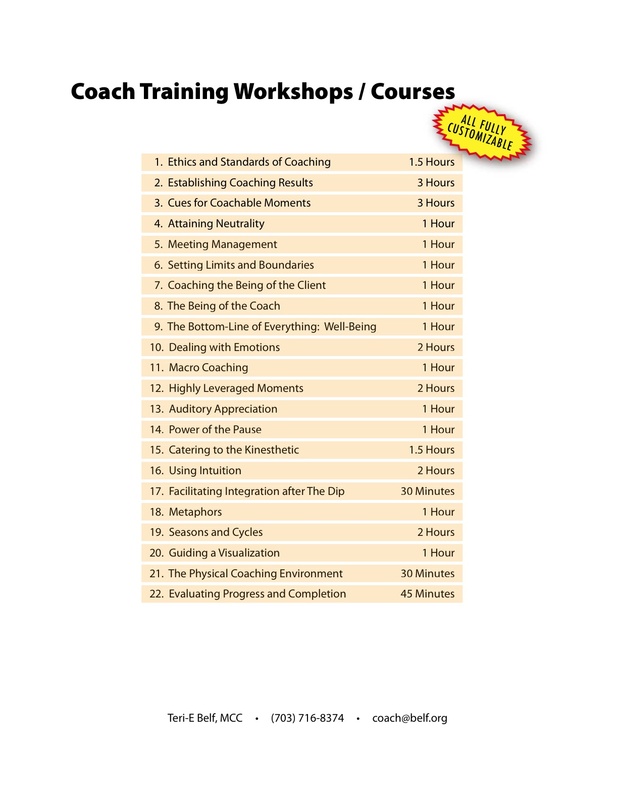 Twenty-two courses for trainers and educators to use from 30 minutes to 3 hours in length, such as Ethics, Establishing Coaching Results, Cues for Coachable Moments, Attaining Neutrality, Setting Limits Coaching the Being, Dealing with Emotions, Macro Coaching, Highly Leveraged Moments, Auditory Appreciation, Power of the Pause, Catering to the Kinesthetic, Using Intuition, Facilitating Integration, Metaphors, Guiding a Visualization, Evaluating Progress and Completion. Customization permitted. 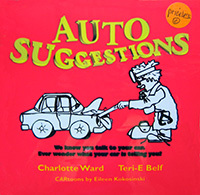 Humorous 65-page cartoon-illustrated book suggesting that your 25 most common car problems relate to your life problems, e.g., windshield wipers streaking? check life visions for clarity. Have fun looking up your car symptoms, diagnosis, and putting your car and life upkeep maintenance on your next Results Game. 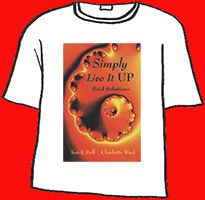 Wear that interesting cover and let people know you simply life it UP. Great for night-shirt or jogging. 50-50 blend or 100% cotton.